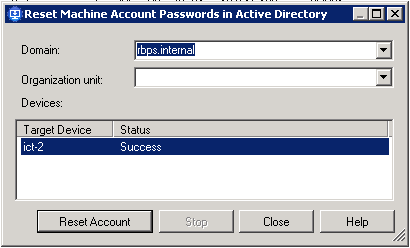 If you get an error when logging onto a provisioned workstation that says The trust relationship between this workstation and the primary domain failed, then you need to reset the workstation's machine account in Active Directory (or create it if it does not exist). Open the Provisioning Services Console, expand Sites and drill down to Device Collections. Locate the workstation by name or MAC address in the list of collections.